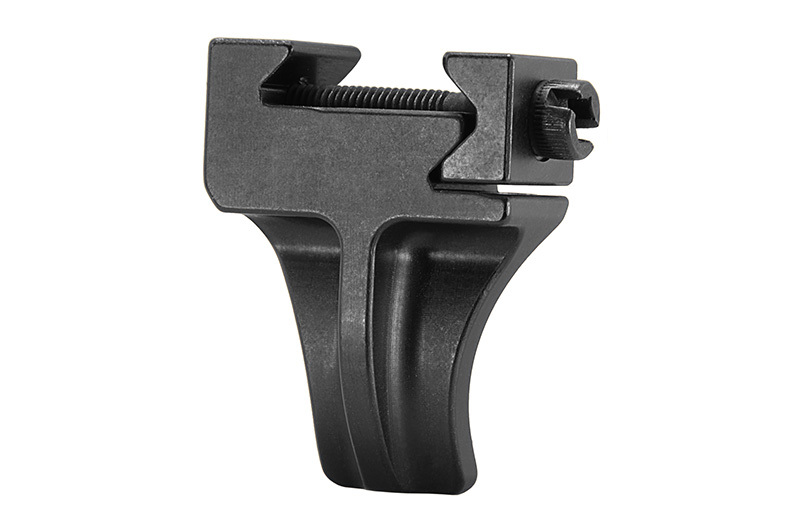 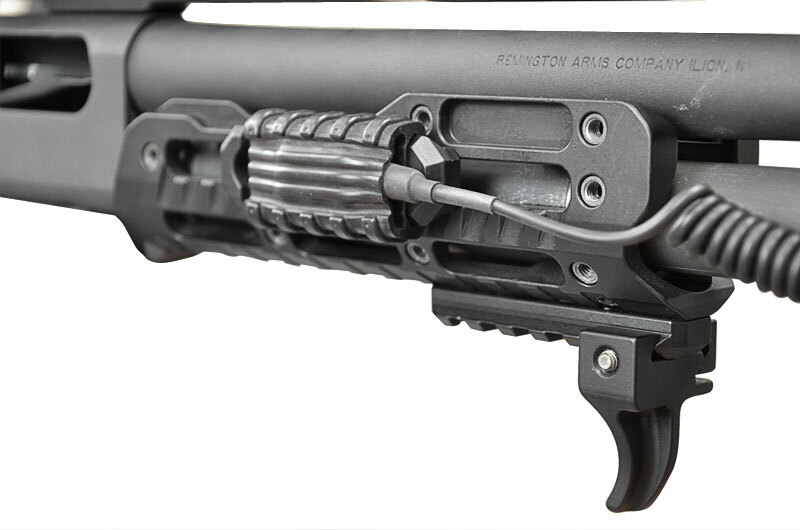 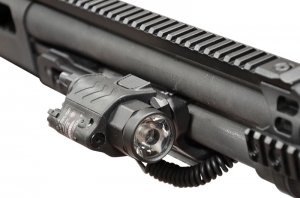 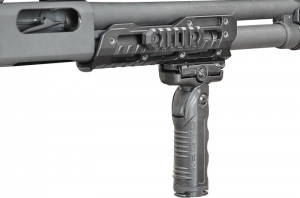 The Fore-end Pump Guard made from 6061-T6 corrosion resistant aluminum offers a world class ergonomic design allowing you to retrofit any Remington 870 pump handle. 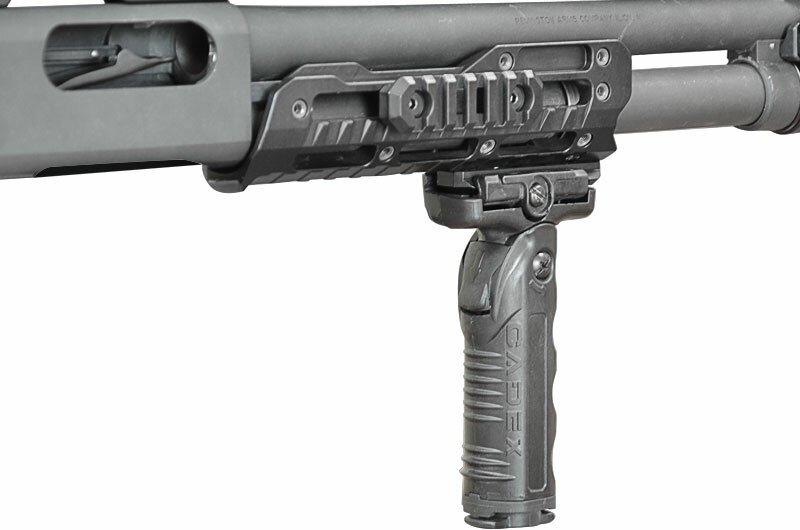 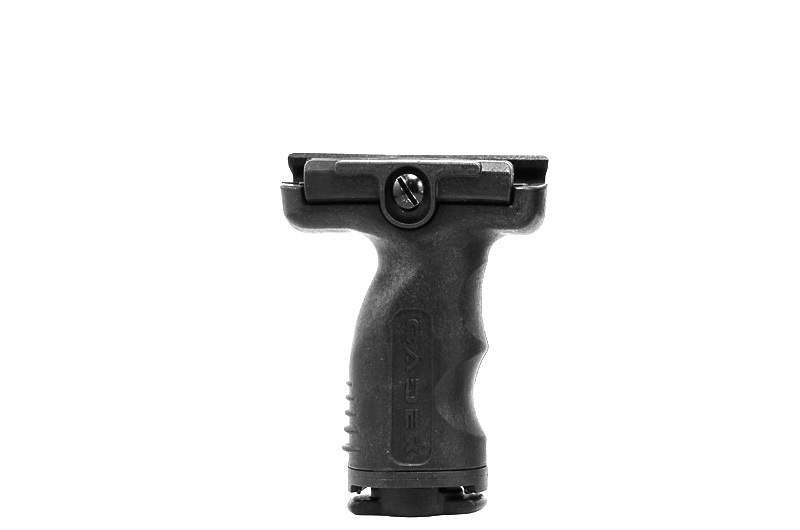 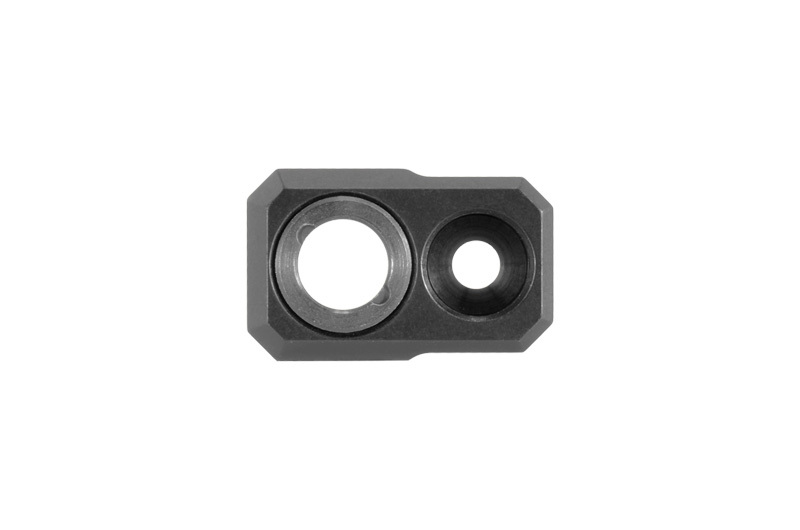 24 threaded inserts allow for multiple rail placements in order to customize your shotgun the way you like it. 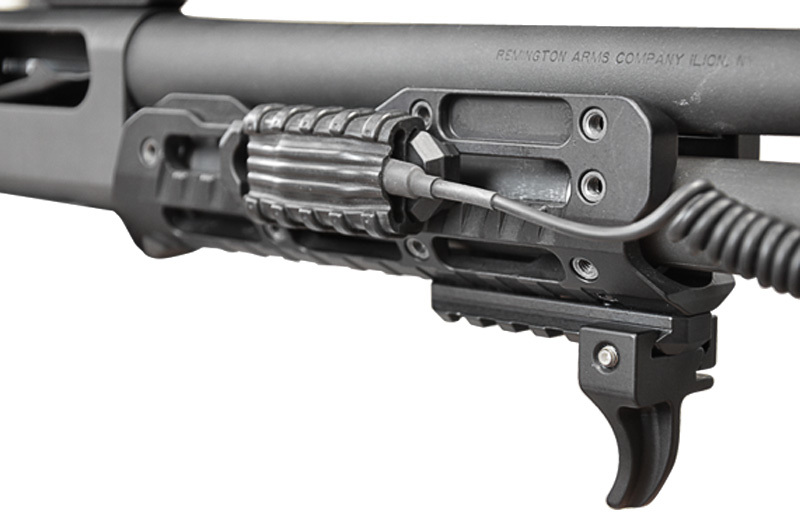 Allows you to retrofit easily any hand guard of Remington 870 shotgun. 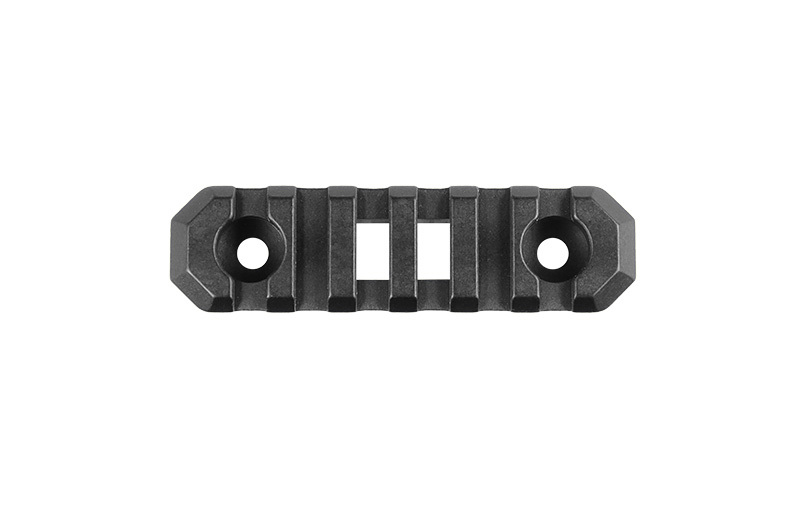 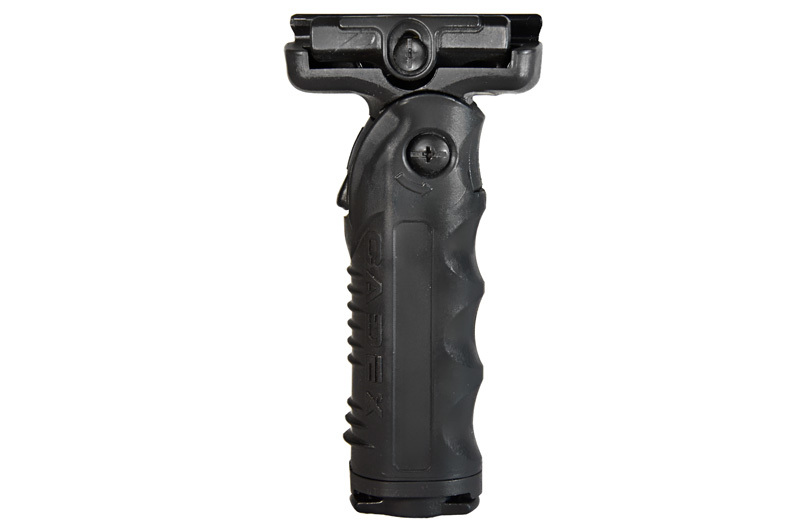 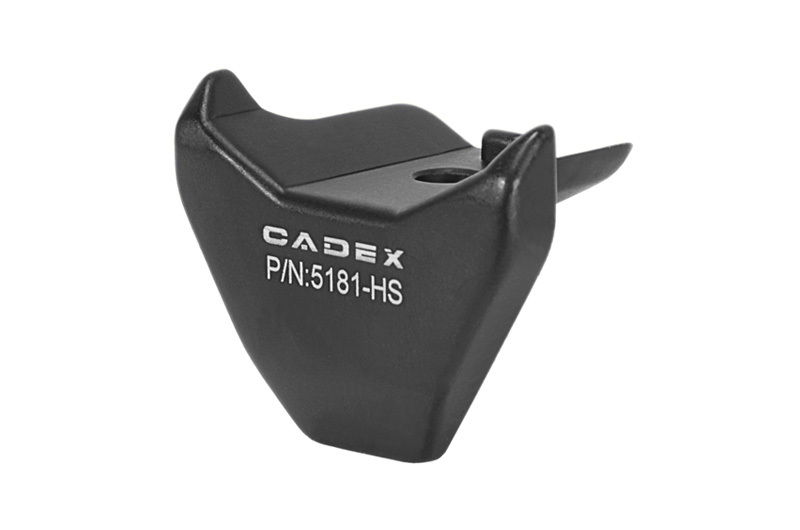 Made out of aluminum 6061-T6 for maximum resistance. 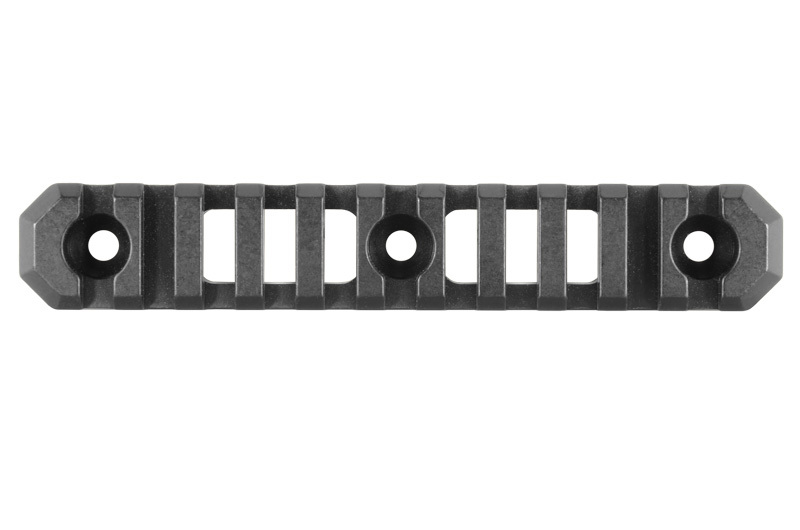 Fits from 0 to 7 rails.